The Turkey Hill Experience features interactive exhibits allowing you to learn about dairy culture, the story of Turkey Hill Dairy, and how the company’s ice cream and iced tea flavors are selected and created. You will truly experience what it’s like to be a Turkey Hill Dairy ice cream maker for a day, including the opportunity to create your own virtual ice cream flavor. In addition, you can sit in our vintage milk truck, milk our mechanical cows, star in your very own Turkey Hill commercial, and enjoy plenty of free samples of iced tea and ice cream! 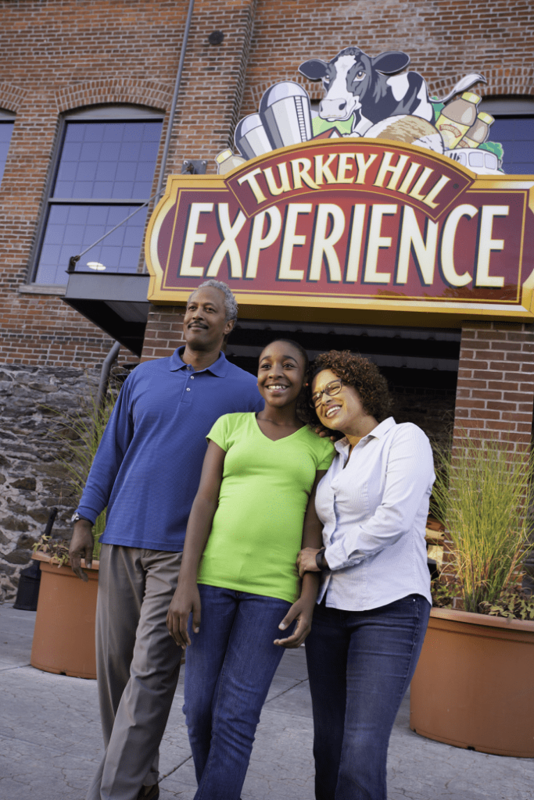 Visit the Turkey Hill Experience in Columbia, Pennsylvania – right here in Lancaster County PA.